Death by a thousand clicks? 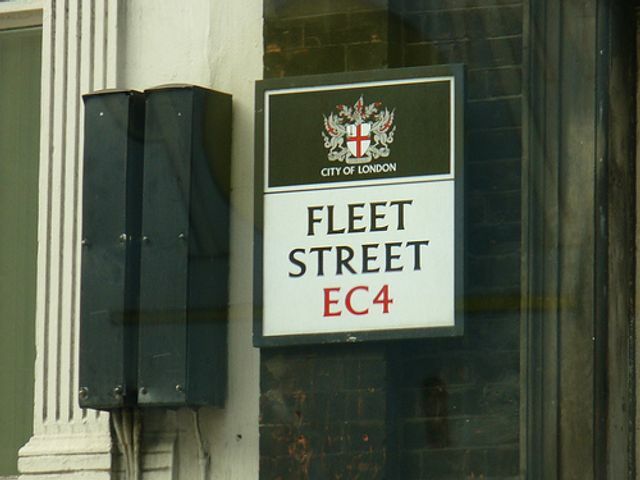 The future for Fleet Street has looked increasingly gloomy over the last few years and recent announcements from some of its leading titles has underlined the challenges the print media faces. In the last few weeks the Guardian and the Daily Telegraph have announced cost savings and job cuts, but it's the hefty drop in print display advertising which is where the real pain is being felt. First it was it was transfer of classified ads to digital but now it's the turn of B2C advertising that's moving away to social media and digital platforms, such as Facebook, which is attracting millions of users. Even the Daily Mail is not immune to this challenging climate. Despite it's enormously successful sister publication Mail Online enjoying 24% growth in revenues in the last six months, overall revenues for the title's publisher DMGT fell by 10% with the Daily Mail suffering a 16% reduction in print advertising revenues. Every business model on Fleet Street is feeling the strain as they try to adapt to the rise of digital and strike the balance between monetising content and broadening their audience while it continues to fragment. For those that don't get it right, they risk going the same way as the Independent. It's a brutal time to be in print. The outlook, though, is gloomy. More cost-cutting and job losses, among both journalists and commercial staff, seems inevitable. In any other industry, cost-driven mergers would loom.